It's the perfect pairing. Windstar Cruises is excited to partner with the James Beard Foundation to bring you culinary experiences that are 180 degrees from ordinary. Through this program, Windstar brings together some of the most talented chefs in their themed cruises and in their dining program. Imagine dining on dishes created by not just one celebrity chef, but a list of all-stars with the likes of Hugh Acheson (Five & Ten, The National, Achie's), Andy Ricker (Pok Pok, Pok Pok Noi, Pok Pok NY), and Renee Erickson (The Whale Wins, Walrus & Carpenter, Bateau). Windstar's themed cruises featuring James Beard Foundation chefs are a foodie's dream, with chef demos, special beverage pairings, and market tours. And learn their secrets as you watch demos of their recipes on every sailing. 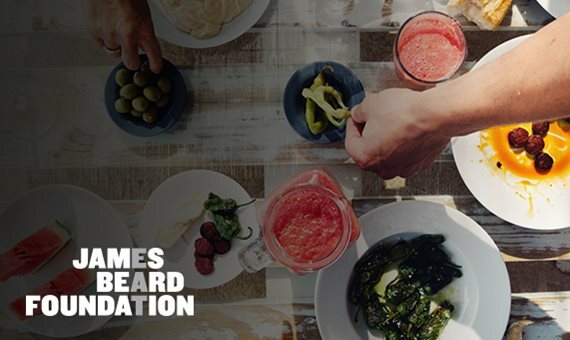 The James Beard Foundation was created to recognize and celebrate the chefs, writers and restaurateurs who advance America's culinary arts. This emphasis on innovation and excellence pairs perfectly with Windstar's superior service, intimate ambiance and drive to constantly innovate its cuisine. That's why they're expanding their culinary events, demonstrations and restaurant menus, giving more Windstar guests opportunities to indulge in memorable meals prepared with locally sourced ingredients by some of the most recognized culinary talent in the world.